Pegatron, an overseas assembler of Apple's products, said on Tuesday that they have not been informed of any upcoming audits, which Apple announced this week will begin in the spring. 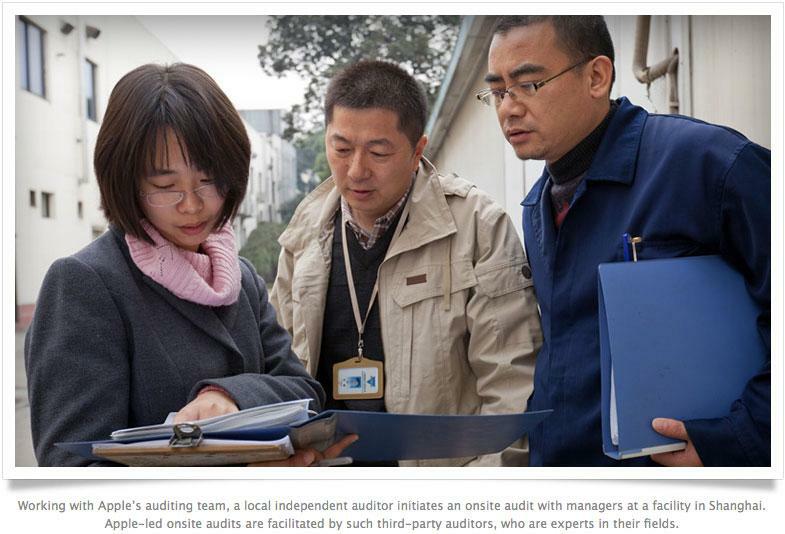 The comments from Pegatron officials, obtained by Bloomberg, suggest that the company was caught off-guard by Apple's announcement on Monday that audits and interviews will be conducted there this spring. Those reviews will be administered by the Fair Labor Association, an independent group of which Apple recently became a member. The first FLA inspections began Monday morning in the Shenzhen, China, mega-facility of another Apple supplier: Foxconn. Those audits were led by a team of labor experts, including FLA president Auret van Heerden. In a press release issued Monday, Apple announced that in addition to the Foxconn review, both Pegatron and Quanta would be audited by the FLA later this spring. The final assessment from the association will cover facilities where more than 90 percent of Apple's products are assembled. Pegatron Chief Financial officer Charles Lin reportedly said that his company is aware of Apple's social responsibility policies. However, the iPhone maker had not yet formally informed the company that any audits are upcoming. Apple formally joined the FLA a month ago, making it the first technology company to do so. The association will independently assess facilities in Apple's supply chain and report detailed findings on its website. The audits from the FLA come soon after a number of reports have called into question Apple's relationship with Foxconn for assembly of popular devices like the iPhone and iPad. Both The New York Times and CNN highlighted potential labor issues in Apple's supply chain, with claims of forced overtime and low wages. The Times story even included comments from anonymous current or former Apple executives, who suggested that Apple has ignored some labor issues in overseas factories because the system "works" for the company. The report prompted Apple Chief Executive Tim Cook to fire back with an e-mail to employees, in which he said that "any suggestion that we don't care is patently false and offensive." He vowed that Apple executives will never "stand still or turn a blind eye to problems in our supply chain." Pegatron was also in the news on Monday for a separate issue, as it was claimed in a report out of the Far East that Apple has asked the supplier to cease production of the MacBook Air-like Zenbook from Asus, or else lose Apple's business. It is expected that Pegatron will comply with Apple's demands, and production of the Zenbook, which Apple sees as a copy of its MacBook Air, will move to Compal or Wistron.